Note from Front and Centered: This post will be continually updated with new endorsements. Eighty-six groups in our state agree: lawmakers should pass Senate Bill (SB) 5489, the HEAL Act. 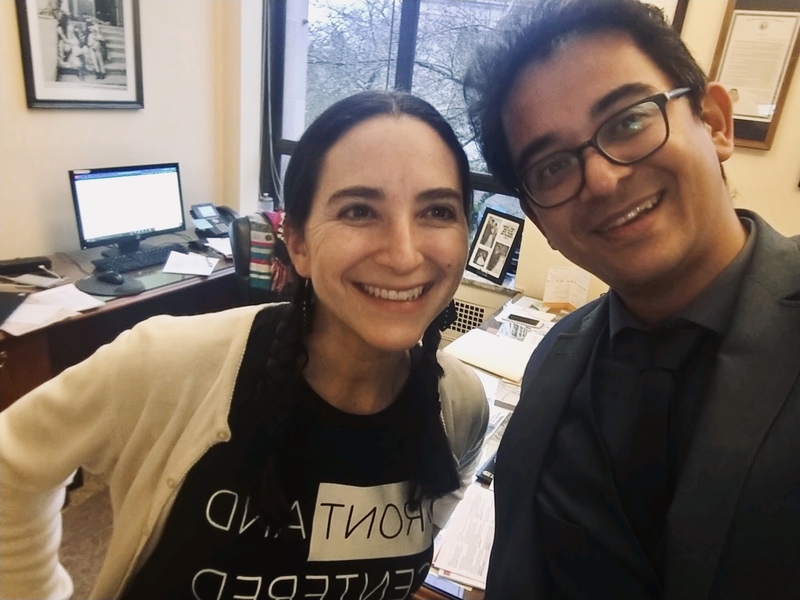 Sen. Rebecca Saldana, proud prime sponsor of Senate Bill 5489, with Front and Centered’s David Mendoza. Front and Centered and HEAL Act endorsers representing doctors, faith leaders, environmental justice advocates, labor unions, farmworkers, scientists, family, immigrant and civil rights leaders and anti-poverty groups believe that everyone deserves clean air and healthy water. Where you live, your income, race or language ability should not determine how healthy and safe you are. But we know that in our communities, health and well-being varies significantly according to who you are and where you live. People across Washington suffering worst from pollution — often low-income people, communities of color and linguistically isolated people — pay with their well-being and shortened lives. State data in the Washington Environmental Health Disparity Map shows eight areas where our frontline communities rank a “9” or “10” in environmental health disparity — 10 representing areas experiencing the worst environmental health impacts in our state on a scale of one to 10. Our communities in these areas are bearing an unfair share of the health impact. And nearly every legislative district has neighborhoods highly impacted by environmental health hazards. If Washington wants to stand as a national leader on environmental policy and climate action, its lawmakers must do better to protect all of its people and the health conditions of where we live and work. 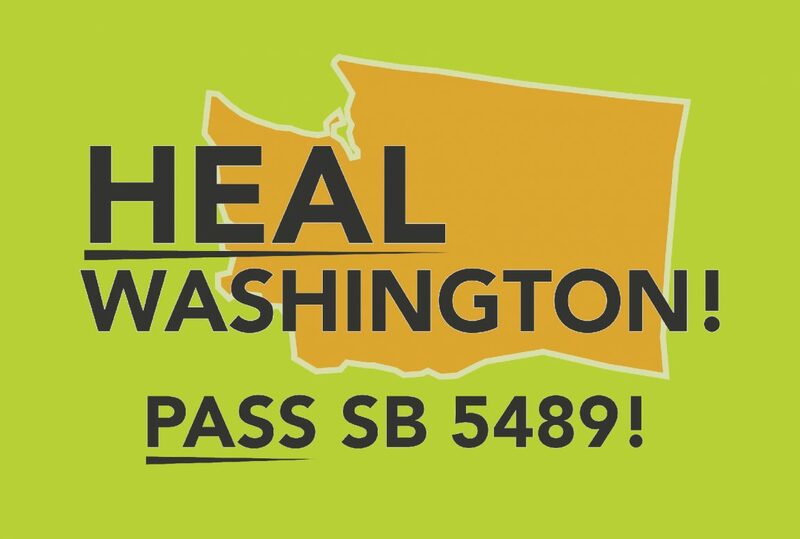 Lawmakers can choose a healthier future for ALL of Washington by passing SB 5489, the Healthy Environment for All (HEAL) Act. Passing the HEAL Act, will define and enforce environmental justice in our state, ensuring communities unfairly burdened by cumulative environmental health impacts will be at the front of agency directors’ minds as they make decisions about environmental policy, enforcement and investments. The HEAL Act ensures cross-agency accountability to communities most burdened by environmental health impacts – and to closing the health disparity gap in our state. So far, 86 diverse groups across our state agree that it’s time for our state to ensure ALL in Washington have a right to a healthy environment — clean air and water where we live, work and pray. It’s time to improve environmental health conditions for all Washington residents, prioritizing areas where communities are suffering first and most from pollution. It is only by reducing environmental health disparities and inequities that we can truly HEAL Washington and achieve the greatest positive health impact in our state. Our movement to #HealWA is growing every day with new endorsers. Think lawmakers should pass the HEAL Act? Join us by endorsing today!